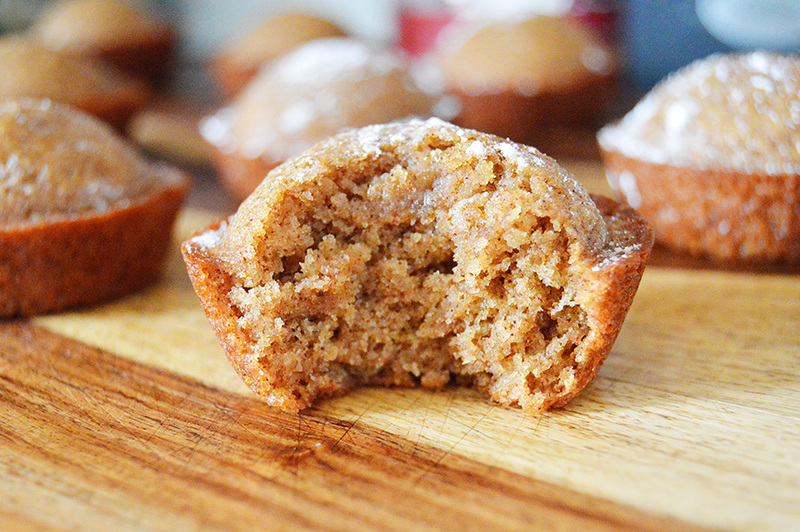 Okay, maybe I throw this title around too much, but these applesauce muffins are the BEST MUFFINS EVER! I have tons of muffins in my repertoire (blueberry, chocolate, banana, strawberry), but I find myself making these unassuming little guys every chance I get. Don’t let their little brown exteriors fool you. Applesauce muffins have taken the prize at the Alaska State Fair (hence the title “Blue Ribbon”). My little brother’s swim team has dubbed them “crack muffins.” I still have old roommates contact me for the recipe. That’s how good they are. What’s so great about them, you ask? The applesauce keeps these muffins moist and adds just the right amount of sweetness while the delicious array of spices (cinnamon, nutmeg, and allspice) do their work. You can dust them with a little powdered sugar, which looks amazing, eat them plain, or – my favorite – cut them in half and spread them with peanut butter. These freeze well, both cooked and in batter form. The recipe makes a ton (4 dozen, to be exact), so I usually freeze half the batter when I make these. Cream together eggs, margarine, sugar, vanilla, and applesauce. Add flour, spices, and baking soda and mix well. Spoon into lined or greased muffin tin. Bake at 400° for 8-12 minutes. You can also substitute honey in for half the sugar, if you're looking to cut refined sweeteners. Use 1 cup granulated sugar and 1/2 cup honey.The muffins will be more dense, but the flavor is the same! 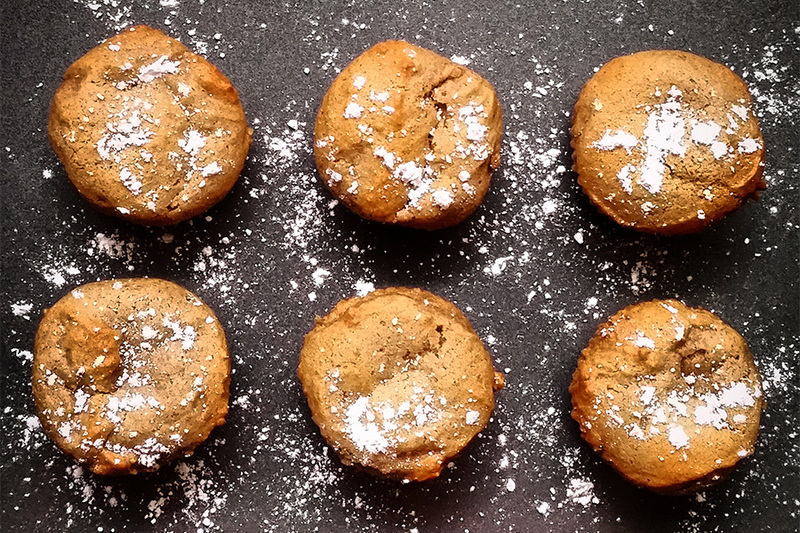 Have you given these muffins a try? Let me know what you think by leaving a comment below! I linked up at Lil’ Luna! Check out her Link Party Palooza for other great ideas! I love these muffins. Also do you like your bosch compact? Have you used the larger/regular bosch mixer. If so which do you like better. I trying to decide which one to get. I love my Bosch compact! My mom owns the big one, and we’ve only used it a few times because it’s kind of huge and has a tendency to walk off the counter if you don’t stand next to it and tend it constantly. Good to know. I think I am leaning towards the compact. Thanks! 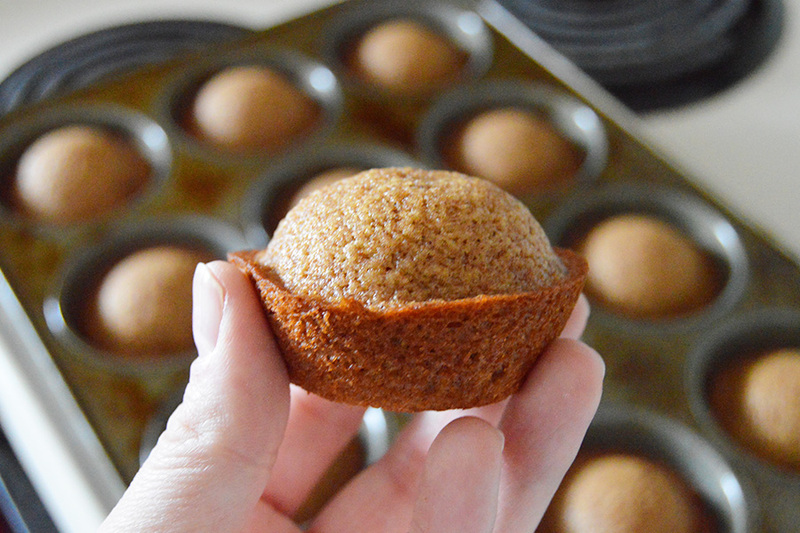 I made these today with my mini muffin tin, they took about 10 min to cook. They are the perfect size for my little boys! Oooh! Let me know how it goes! Oooh! That spiced applesauce sounds delicious! Using it in the recipe might take some experimentation, but I would consider just using the full measure of allspice and dropping the cloves and cinnamon, or at least significantly reducing them. Good luck!